The 2017 Economic Survey had flagged the UBI scheme as “a conceptually appealing idea” and a possible alternative to social welfare programmes targeted at reducing poverty. Sikkim will be the first state to roll out Universal Basic Income (UBI) and has started the process to introduce the unconditional direct cash transfer scheme. Sikkim’s ruling party, the Sikkim Democratic Front (SDF), has decided to include UBI in its manifesto ahead of the Assembly election in 2019 and aims to implement the scheme by 2022. Express Explained: What is Universal Basic Income? Whom does it benefit, and whom can it harm? “UBI is a scheme that a number of economists have talked about and it works well in developing countries. It has been tested even in India, debated within the Finance Ministry as early as 2017,” he said. The SDF appears confident of returning to power as it dominates the political space in the state. Rai said that despite being part of the BJP-led Northeastern Democratic Alliance (NEDA), his party will go it alone in the election, which is due along with the Lok Sabha polls. 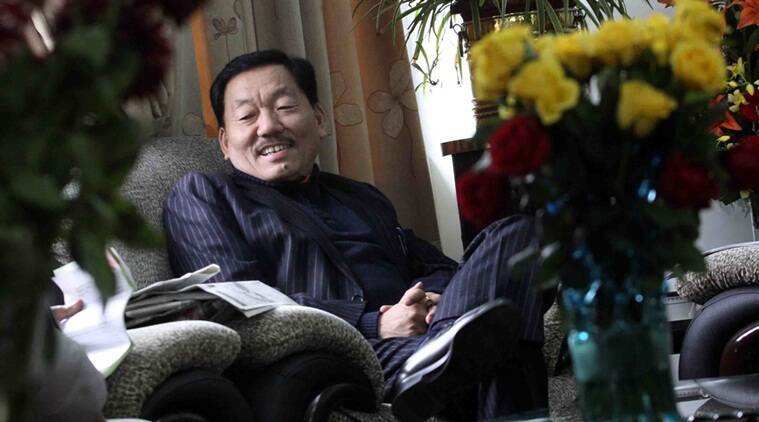 “The process has already started in Sikkim,” he said. The idea is to subsume other subsidies and allowances in order to provide a particular amount every month to people. Rai said it would “work well for the youngsters” because “it would give freedom to choose their work, it will be more futuristic and it will serve as a future production tool. Young people can look into the future without worrying too much about income,” he said adding that UBI should not be looked at as a “sop”. Sikkim has a literacy rate of 98 per cent and its monthly per capita expenditure in rural areas is Rs 1,444.06 and it is Rs Rs 2,538.11 for urban areas. The BPL percentage has come down from 41.43% in 1994 to 8.19% in 2011-12. Admitting that there could be some “misusing” Rai said studies in many countries and in India have proved that it will work. He said the state has improved drastically and its development indicators and the state government wanted to share the prosperity with its citizens. “We are sure other states will follow us,” he said. “As far as I remember even Prime Minister Narendra Modi also talked about Universal Basic Income. Anyway, its an idea whose time has come,” he said. The state will also restructure some social schemes and the “skewed” tax structure to find more resources. With tourism being another source of revenue for the state – the state gets around 2.5 million tourists a year – there could be some cess in future to generate additional resource to implement the scheme. “It’s not just a feasible idea, but a very positive idea,” he said, adding that finer details were yet to be worked out.